On 6 Jan 2011, i successfully attended the NIOSH OGSP course at NIOSH Bangi. 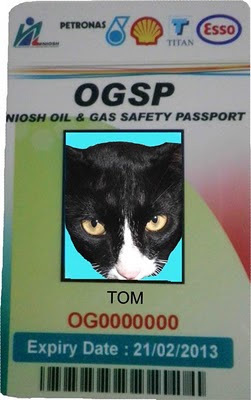 This safety passport is compulsory for me in order to work or visit onshore Oil & Gas facilities/plants. Here i explained a little bit about this NIOSH OGSP card and its benefits. 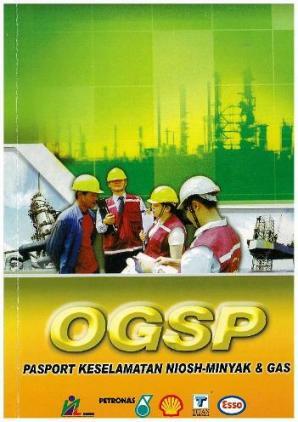 NIOSH-Oil and Gas Safety Passport (OGSP) System is a series of training programme designed for specific target groups on specific OSH subjects and for a specific industry. The system provides the appropriate training and assessment so as to ensure that the target groups acquire the appropriate and necessary safety and health knowledge required for their jobs and fulfill the legislative requirements and the companies’ policies. The series include Induction For Plant Access. - Reduce accidents, downtime and increase productivity. - Relieves the companies from the chores of training their staff and contractors’ staff of the basic safety induction for plant access. - Provide independent and credible assessment system by a third party recognized by the industry and government. - Ensure contractors complying with minimum legal requirement. - Provide standard training for companies in the same industry. - Eliminate redundant training for the contractors as the “passport” obtained is recognized nationwide.